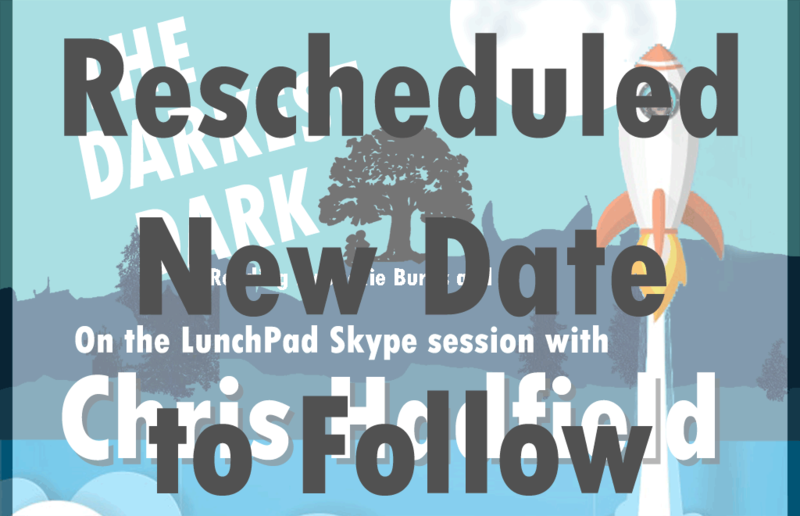 Join us at 12:30 pm for a reading of Chris Hadfield’s “The Darkest Dark” by our very own Jackie Burns. 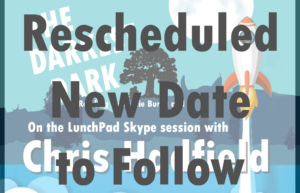 Then join us, at 1:00pm, for an exciting “On the LunchPad” Skype session with, Canada’s favourite astronaut, Chris Hadfield. Tickets not required. Donations accepted. In order to plan the event carefully, we would appreciate a quick RSVP by completing the form below. We are also looking for one or two more volunteers for this event. If you’re available to assist, please check off the applicable box on the form. Thank you.